I became a stronger person when I found out that I could face diabetes head-on without it ruling my life. I owe a big thanks to Dexcom for that. 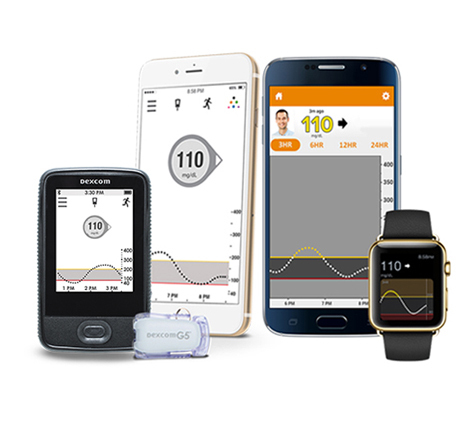 When I first learned about the Dexcom CGM System , I assumed it was something only little kids used. Boy was I wrong. It’s for teenagers, it’s for young adults who are about to go off to college, it’s for adults who go on business trips alone, it’s for Miss Idaho who needs to know the direction of her blood glucose levels before she goes on stage to speak. One of the biggest challenges a person with diabetes faces is not knowing where your glucose levels are headed and the Dexcom CGM System is such an unbelievable help with this. Being on the Dexcom CGM System has made exercising easier, it’s made sleeping easier, but really it’s made everything easier! The great thing about using the Dexcom CGM System is that the sensor and transmitter are really small and much easier to hide than I thought! I have one friend who was terrified to put the sensor in, but I assured her it would be just a tiny bit of pain in exchange for a lot of peace of mind. Without a doubt, getting on the Dexcom CGM System is one of the best and most important decisions I’ve ever made.